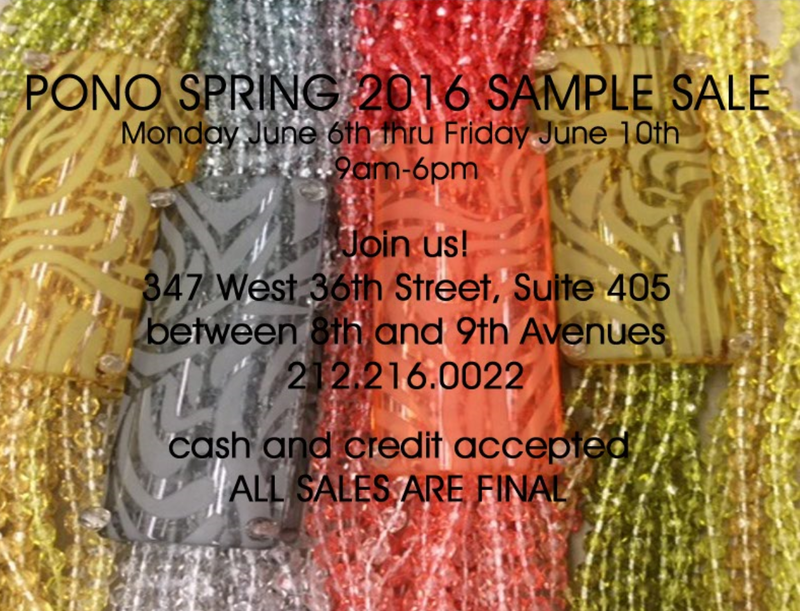 Shop the PONO Sample Sale with beautiful baubles at 50-80% off! Catch up with designer, Joan Goodman while snagging sensational styles like Heart bangles at $15, originally $50, ombre Spectrum Yachting Choker now $50 from an earlier $185, a Chiara Moonstone Choker formerly $325, now $75, or hit up the bangle table, where 10 stackables are at the steal price of $40, originally valued at $250. 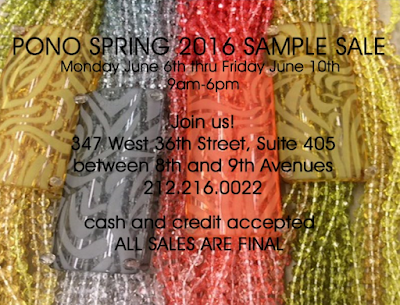 347 W 36th St. suite 405, between Eighth and Ninth Aves. Subway: A, C, E to 34th St.